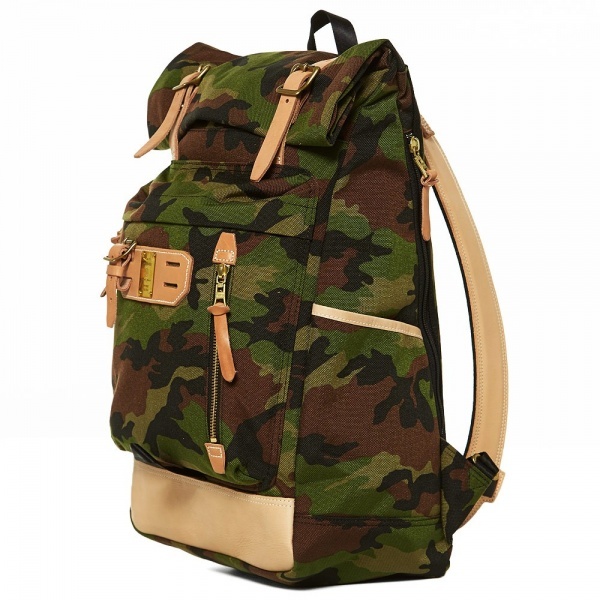 The Surpass Mountain Pack is crafted from extremely tough Cordura nylon and is constructed with vegetable tanned natural leather straps, reinforcement and detailing that will age and patina in time to create a completely unique look. 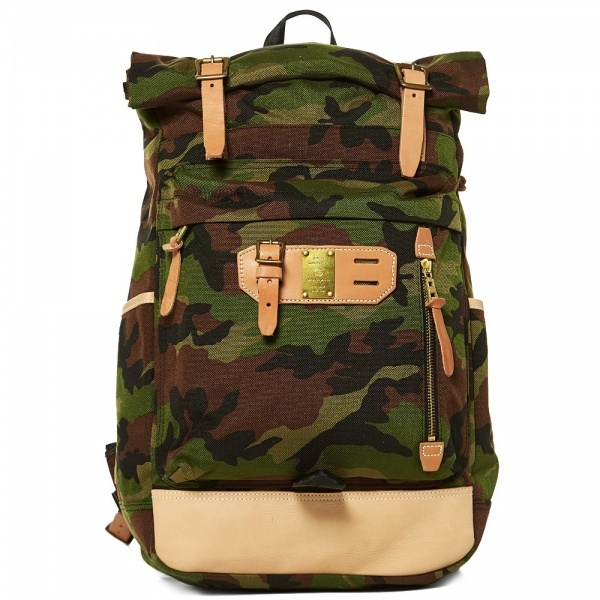 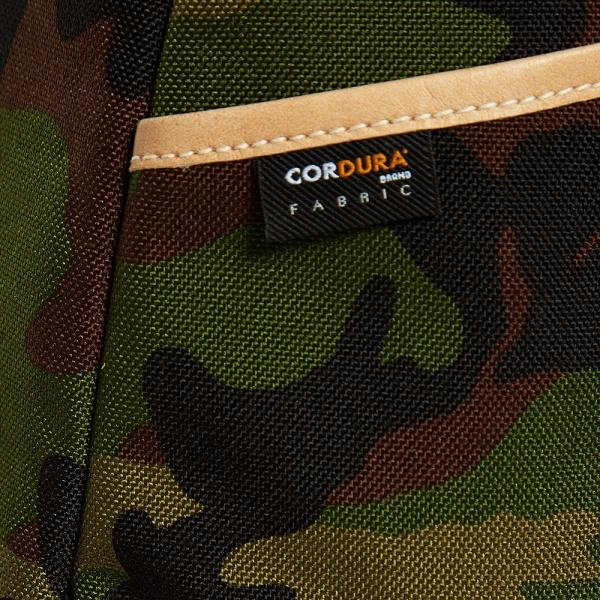 This incredibly versatile back pack features a section of functional detailing, inspired by utilitarian hiking equipment. 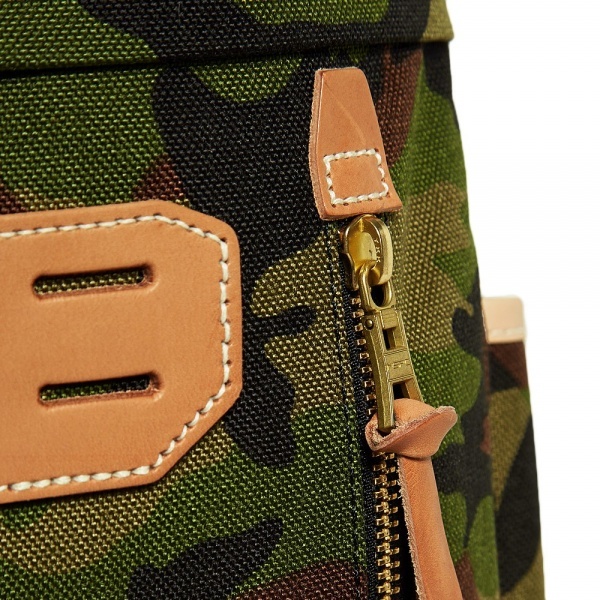 The large main compartment is closed with a roll top and leather straps but can also be accessed via a zipped opening to the rear. 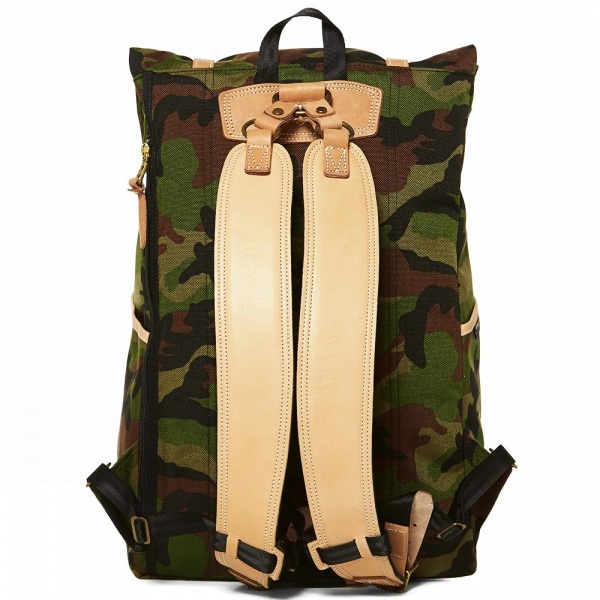 The leather shoulder straps are padded with thick felt, are adjustable at the bottom with brass buckles with a front harness strap which fastens with brass rings, and the bag is finished, as ever, with a small brass Master-Piece quality guarantee plaque.